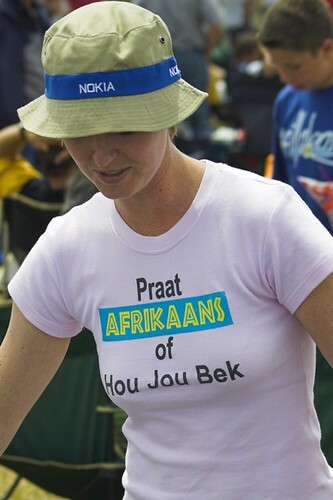 The slogan on her shirt translates as Talk AFRIKAANS or shut your mouth. This entry was posted in Photos and tagged Afrikaans, Funny, South Africa. Bookmark the permalink.